charging you too much for your hairstyles & hair colour? Karori, rather than to expensive inner city Wellington hairdressers. Because we're fully qualified, 25 years experienced and competitively priced. "Professional quality hairdressing is guaranteed"
Why are so many clients now leaving the city hairdressers to go to suburban hair salons? 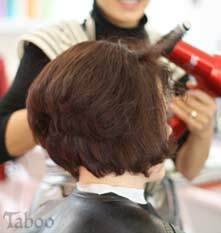 “The only difference between suburban and inner city hair salons in Wellington is the price”, says Tina Fox – Professional Hairstylist at Taboo Hair Salon in Karori. Tina who has been a hairdresser for 25 years and has previously worked in several inner city hair salons, said that “Because the rents are so high in the Wellington CBD area, the city salons have no choice but to pass on the extra cost to their clients”. “The reality is that clients are losing money by paying as much as 35% more to the landlords for the privilege of having city hairdressers cut and style their hair, not to mention the additional parking costs too”. as little as 5-10 minutes out of town to a karori hairdresser of equal skills, qualifications and experience. For exactly the same quality (or better) result. (such as myself) for practically the same price. It's just better value for money. have all recently chosen Balayage hair colour styles for their new glamorous looks. Now you can too - as this service is available at our Wellington salon. Check out the awesome specials and offers we've got available for you today. 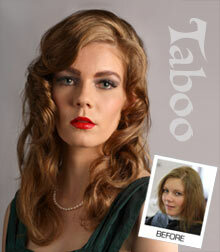 Check out the hairstyle fashion photo shoots from Taboo Hair Salon in Karori. All hair colour, cuts and styling done by us. A big thanks to our super-model clients (Sarah, Kate, Katie and Jo) for participating in our Salon's photo shoot makeovers. hair colour training at the Energizing Summit in LA. the American Board of Certified Haircolorists (ABCH). The training Summit had over 40 top industry educators from all over America, teaching the latest hair colouring & foiling techniques used by America's top professionals. Out of the 600+ attendees enrolled at the Summit. 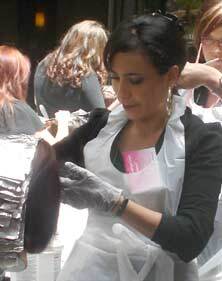 Tina Fox was the only New Zealand (Australasian) hairstylist to attend this advanced haircolourist training event. Tina says "I was very impressed with the professionalism and quality of the courses in America. They were all of such high standards". "I was able to learn lots of the latest cutting-edge techniques and processes, including Balayage. Which I was able to bring back to New Zealand with me". “It was great being taught by some of America’s top haircolourists” she says. Call now for a free consultation with Tina to discuss your next hair up design. Be sure to book early. this radical hair colour style? Taboo's Hair Colour Specialist reproduces the popstar celebrity look and explains some of the advanced hair colouring techniques she used to achieve this awesome end result. web sites and print advertising potentially deceiving to the public? We just love to receive reviews, comments and suggestions from our clients. Thanks so much to those who have taken the time to write feedback for us. It's very much appreciated. 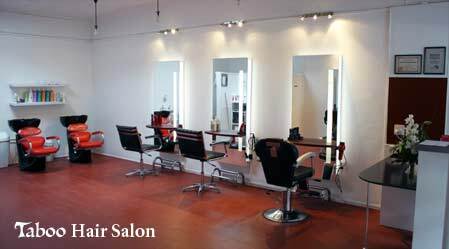 We know that there is a lot of hairdressing salons to choose from in Wellington. Thanks for choosing to come to us. so many great compliments from everyone at work." warm and friendly experience - like visiting an old friend. what Tina does with my hair." "Great haircut and colour. You made me feel wonderful." to give you the haircuts & hairstyles that will make your friends say WOW! We listen to what you want and can show you what's possible with your hair type. You can be assured of professional good looking results. In fact, we guarantee it. Because at Taboo, we employ only experienced NZ qualified hairdressers (hairstylists), use only the best professional hairdressing tools and hair salon products. We love to make our clients look and feel great, now you can too. Have Your Curly Hair Properly Cut & Styled by an Expert. is here at Taboo Salon. Trained in L.A using advanced balayage colouring techniques - our haircolourist will give you the latest celebritely hair colour style. Call us now - for a Free Balayage or Ombre Colour Consultation. With eight recorded karori hairdressers since 1932. Professional Wellington Stylist Tina Fox shares her tips and experience with hair up styling. 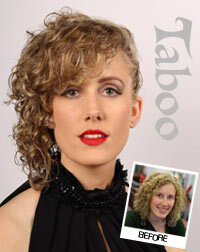 Taboo® is a registered trademark of Taboo Hair Salon Ltd © Copyright 2009-2019, All Rights Reserved.